As Fusion Festival comes to Liverpool for the first time, Getintothis has a pair of tickets to give away. Fusion Festival is relocating this year. Having previously taken place in Birmingham during the late August bank holiday, organisers have decided to bring the event to Liverpool this summer, adding to an already busy city schedule of live music events. The two day festival will now take place at Otterspool Promenade on September 3 and 4 following the launch of Capital Radio in the region earlier this year. Following in the footsteps of previous headliners such as Jessie J, Rudimental and last minute Justin Beiber replacement Ed Sheeran, this year sees Olly Murs and Jason Derulo take the top billing over the two days. A new addition this year sees Kopparberg bring a taste of ‘scandi-cool’ to the event with the arrival of the popular Kopparberg Urban Forest. Featuring some of Liverpool’s best acts in Louis Berry, GIT Award 2016 One to Watch winner Taya, Sub Blue and Mic Lowry the Urban Forest could turn out to be the highlight of the weekend. LIMF Academy supported acts Hicari and LUMEN will also be performing on the Kopparberg Stage. These slots come hot on the heels of both acts receiving a nod as part of GIT‘s New Breed 2016 recognising the finest Merseyside acts set to make waves on a national level. 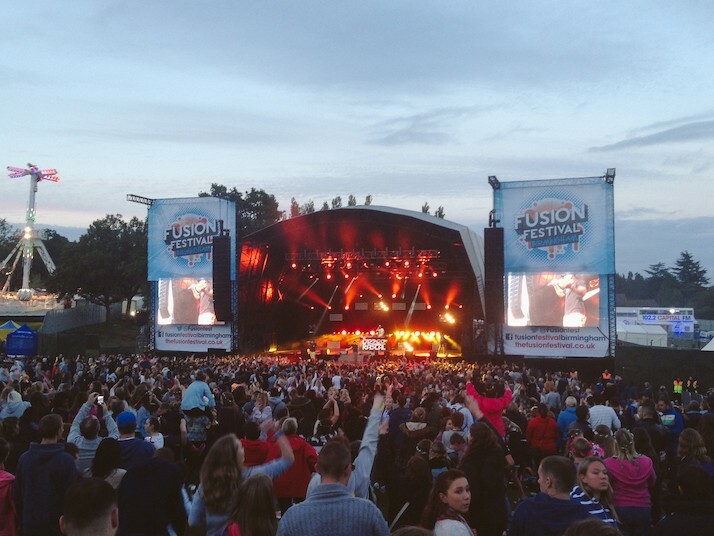 Fusion Festival‘s main stage, which see a genre split over the two days, boasts a plethora of popular acts including Tinie Tempah, Labrinth, The Vamps, Ella Henderson and Sigma, plus anyone in the mood for a bit of noughties nostalgia need look no further Craig David and Busted. Getintothis have a pair of weekend tickets to Fusion Festival 2016 to give away to one of our lucky readers. To enter our competition all you have to do is ‘Like’ the Getintothis Facebook page here, share our Fusion Festival Facebook post (below) to your own wall, tagging two friends in the process. As easy as you’d like. 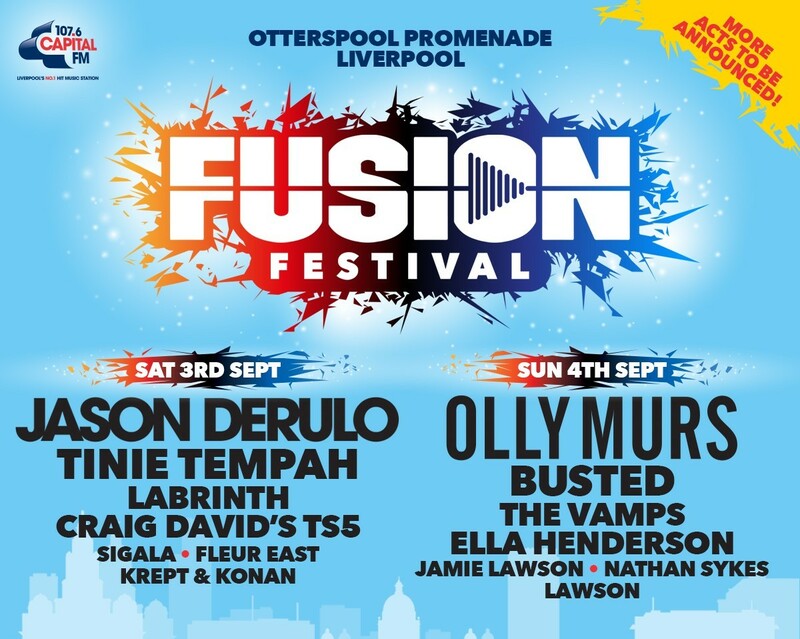 Fusion Festival takes place September 3 and 4 at Otterspool Promenade, Liverpool.